Sadee : Ever wondered why she still bathes in a baby tub? Well, we only have a walk-in shower and she loves a good, warm bath every now and then. Her legs are starting to get a little too long, but maybe one day she'll have a full-size tub to play in. 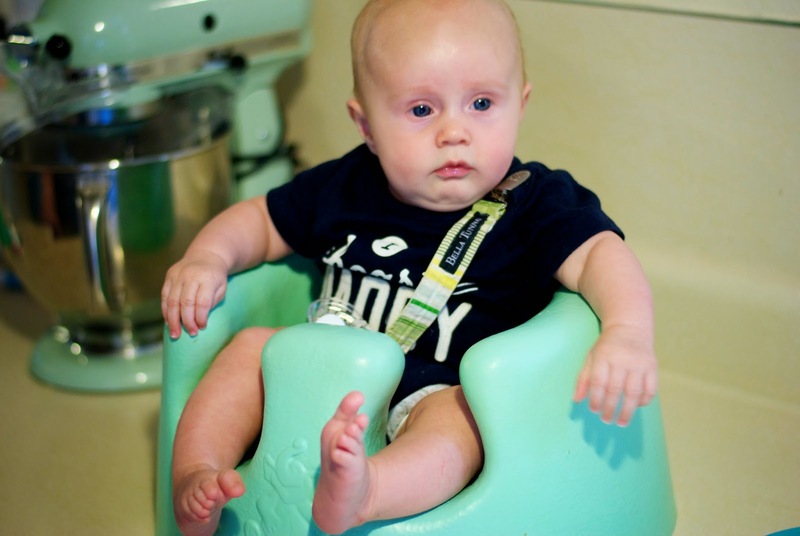 Cameron : Sits in the Bumbo like a champion!